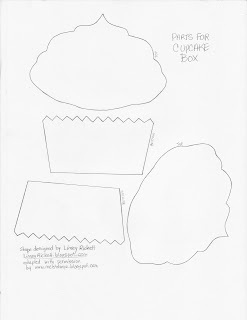 I made these boxes as an homage to the totally scrummy cupcake template designed by Linsey. They borrow the sweet shape she created (with her generous permission.) Here is the gorgeous batch of cards she baked up: yummy treats! So why lick n taste cards? I recently stumbled across your blog and I must say I LOVE IT!! 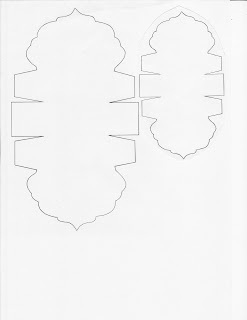 Tommorow I will be placing around with these cupcake templates. Om! 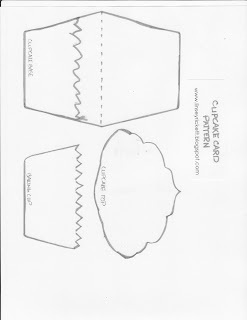 My niece turns 3 in a few months and the cupcake box will be adorable for her. Thank you thank you for sharing and for have a fantastic blog!!! Oh my heavens, these are so cute. I'm thrilled with everything you find for us. Thanks!! 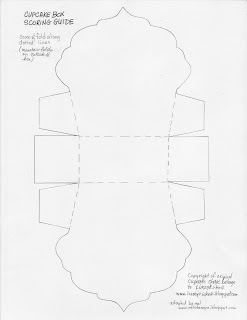 I'm printing out the templates as I write this. I must try these out. TFS. You could widen the bottom if you like to make them fit. Right now it is only 1.5 inches wide. Best of luck! ahh! Gosh! I love those! Mel, thank you for all your kind comments on my cards. I have only recently found your blog, and have not yet explored it fully, but look forward to it. You asked about the Hippo pattern. Would you like to contact Eve through her Blog? I have told her of your interest. I love your cupcakes I made something like that for my daughters 9th birthday invitations last month . These are so adorable! Thanks for working up a box to go with the cards. That would be awesome for putting in ingredients and a recipe if made large enough. Much cuter than the stupid boxes that they sell the fancy stuff in. I don't think I'd use that particular sugar, but maybe some of the really coarse sugar, or some of the sprinkles that aren't going to make a mess (not the coloured sugar that loses the colour or longer sprinkles that go mushy). Why these are just deliciously awesome. Love love love them! Too cute! What a wonderful idea! I hope you don't mind if I link to it in an upcoming post on my blog - I know a few of my blog readers who would love this too! These are so adorable! Love the BG paper with them!!! TFS your awesome ideas with us!!! 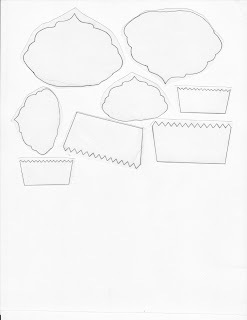 Oh, awesome templates!!! So cute!!! I love cupcakes! Thanks!!! Great blog! 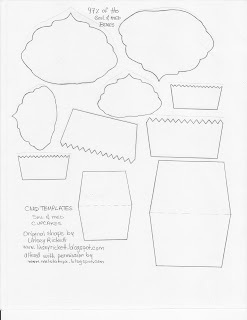 Super ideas - thanks so much for posting these!!! Great job! Thanks for posting this. 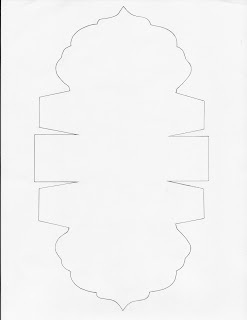 I had requests for a template after I posted my card in January and have not had the time to create one. I'm thrilled to send them to your blog. What a life saver! I am going to do a cupcake theme for my daughter's first birthday and these will be perfect!!! Thanks for sharing! You are a total nutjob and I love it!